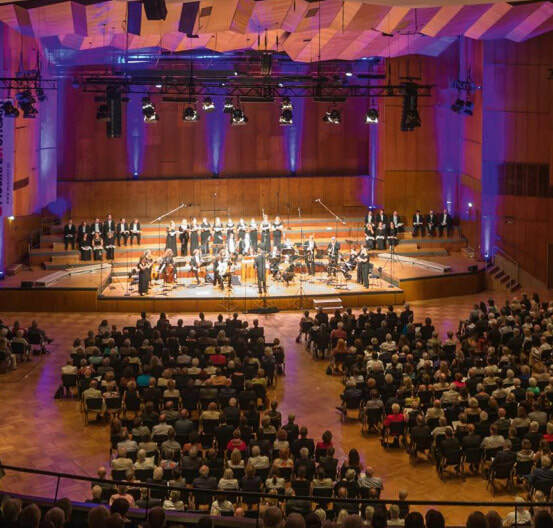 Since its founding by the world-famous conductor Helmuth Rilling during the early 1980s, the music academy of Stuttgart has developed a musical institution of great international renown. Rilling's work has been brought since 2013 with acclaimed conductor Hans-Christoph Rademann, one of the world's musical and choral specialists. Every summer, the Stuttgart music festival is programmed in great detail within the academy so it is a special part of the calendar of events in the city. Orchestras and soloists in collaboration invite their audience to 20 different and surprising presentations, and the festival has a different concept every year, with its eloquent aspects and interpretations in music and literature. Johan Sebastian Bach is of course always included. Contemporary presentations of world class brings versions inspired by the musician, which comes alive during the festival. Two important ambassadors of music in Stuttgart are the Chamber Orchestra and the SWR Stuttgart radio symphony orchestra. Both orchestras ranked high internationally in the orchestra scene thanks to their long audience, both with repertoires of classical and contemporary music. Their presentations in the most famous stages of the world have elevated them to acquire international recognition. check the website for program and rates.